Liverpool’s first half of the season, the period which “built a base” for their title challenge, was largely impressive thanks to defensive solidity. That’s changed of late—but returning faces could help settle matters decisively for the future. Starting the season with one world-record signing for a defender and three cut-price Brits in the back line was a strange combination for Liverpool. Add in Alisson—another positional record fee, albeit short-lived—and there was a real juxtaposition in approaches to building the new-look defence. On the sides, £8 million Andy Robertson and homegrown Trent Alexander-Arnold. In the centre, £75 million Virgil van Dijk and £3.5 million Joe Gomez. That latter duo forged an immense partnership in short order and Gomez, in particular, looked to be the final piece of the jigsaw after a long period of uncertainty, among fans at least. 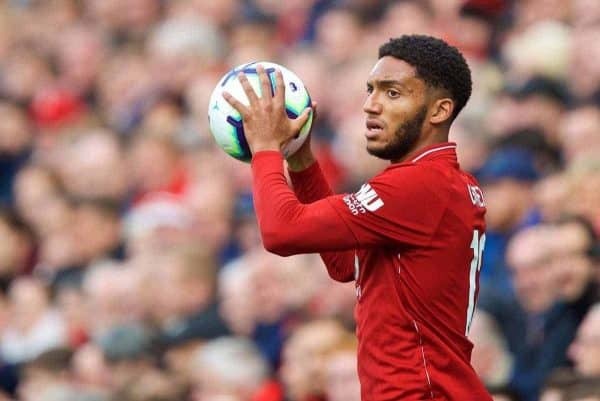 Like Trent’s own opportunity, Gomez’s came in the centre as a result of injuries and absences to others. Joel Matip was sidelined, Dejan Lovren not fit after his World Cup exertions and Ragnar Klavan was sold, so Gomez got his chance—and, crucially, took it. 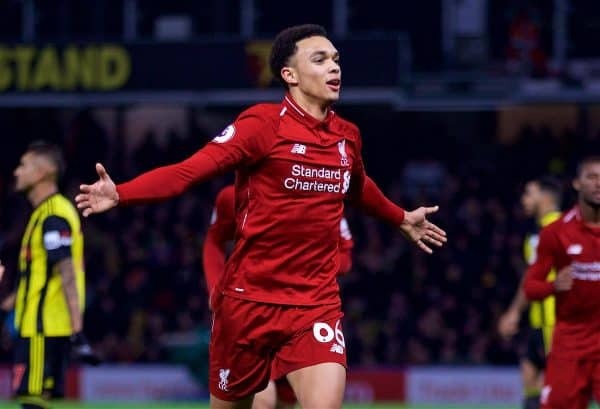 His pace, reading of the game and composure on the ball were all huge factors in both his own development and in how important a role he played for Liverpool. 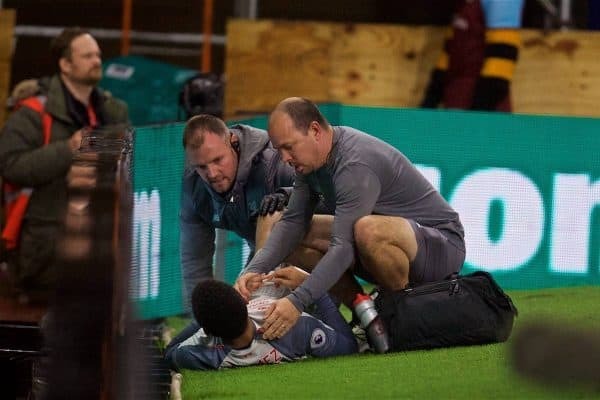 But a fractured leg sustained at Burnley in early December has left him sidelined, with a recent operation required meaning more time out. In his absence, the Reds have struggled at the back as other names—Alexander-Arnold, Lovren and even those covering, including James Milner—have also been out. Of course, there are other factors at work here. The dropoff in defensive work has coincided with those aforementioned other absences, some poor performances from squad attackers and an away game at Man City, the only league defeat thus far. 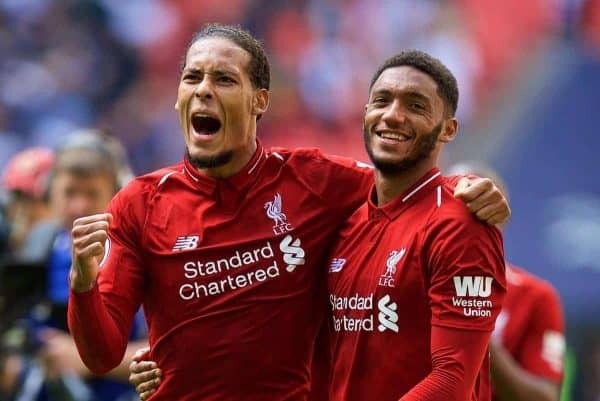 But Gomez, and certainly his partnership with Van Dijk, mitigated at least part of that earlier in the campaign as the Reds ran out one-goal winners on a number of occasions. Speaking to former Liverpool defender Stephen Warnock, he makes it clear why the No. 12 was a key factor for the Reds early on. “He’s been strong, he had the disappointment of last year and wanting to prove a point after missing the Champions League final and the World Cup. Gomez knew it was a big season for him,” Warnock told This is Anfield. “His distribution and covering are his big strengths. He’ll make mistakes but his pace has already helped Liverpool out many times; look at away to Chelsea—we drew in the end but they broke through for chances and his recovery pace was incredible at times. Warnock is well-placed to speak not just on Gomez’s positives earlier on, but just what challenges he faces in recovering from his latest setback. For Gomez, it’s not just going to be about recovering fitness, but about re-reaching the standards he set; in essence, proving once more that he should be first choice. Like Gomez, Warnock had to bounce back from multiple injuries to earn a place—including three broken legs, the same injury Gomez is now dealing with. Warnock notes the challenges are mental as much as physical, but interestingly also points out there are positives to be taken from another enforced absence. “It can be psychological as much as anything. Initially I didn’t want to get tackled or go full force, that has to be overcome,” he continued. 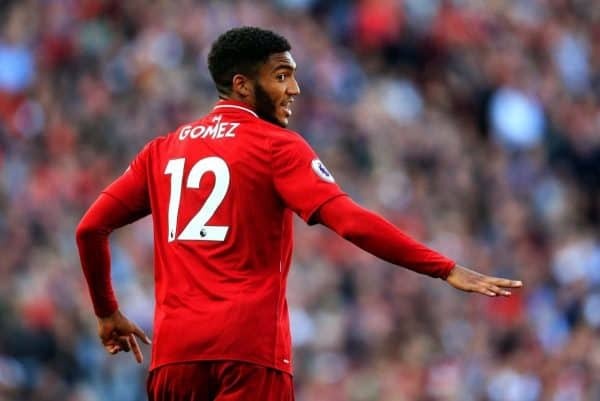 “At the time I was young, there was no rush to get me back to the first team; the difference for Gomez is that he’s expected to come back at a high level again. “Because he’s already come back from a long-term injury he knows how to deal with himself and his body; he looked fitter afterward so working back from this injury, he already knows he can do it. No timescale is on Gomez’s comeback at present, but even if his contribution this season is lowered, he’s surely proven already he can be the long-term solution if fitness allows and his progression is maintained. Alongside him, Alexander-Arnold’s return is far more imminent, perhaps even against Bournemouth, and his next appearance will be a milestone event, one which affects Warnock’s place in the history books. Since Steven Gerrard broke through from young hopeful to Reds regular, Warnock remains the all-academy trained player—in other words, not signed from another club as a teen—with the most first-team appearances for Liverpool. His 67 games, played between 2004 and 2007, have not been matched by any other homegrown talent—until the current right-back. Trent’s next appearance will put him on 68, finally giving numerical proof of him being a standout graduate from recent years. Raheem Sterling, who played 129 times, is the only other academy-trained player to have bettered Warnock’s total, though he was signed as a 15-year-old. Warnock says his achievements make him an inspiration for those still at Kirkby and, even though many including Trent himself might feel a move to midfield could lie ahead, improving in his current role should be the priority. “Trent has to be the person everyone looks at from the academy, who they want to be like. When I was coming through it was Gerrard, who would be next to follow him,” he explained. “Now it’s the same for Trent. Progression from the academy is superb and that should heighten when they see how he progresses. 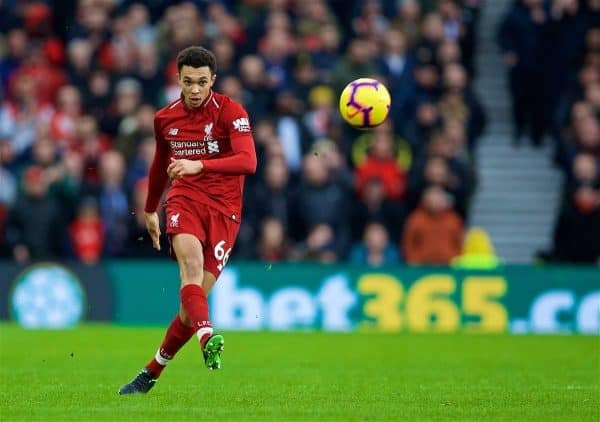 “Maybe Klopp knows the odd time he could change how he’s used, further forward, but Alexander-Arnold could become the world’s best right-back. “There’s a much larger pool of world-class central midfielders and it makes it more difficult to be world class yourself. He should be looking at doing five years at least at right-back and see where it takes him. Where five years takes him is, happily, only used as a frame of reference toward Trent’s quality and progression. Neither he, nor Gomez, see their futures anywhere other than Anfield, as recent new contracts for both attest to. Together, they make up half the defence, the entire right side. 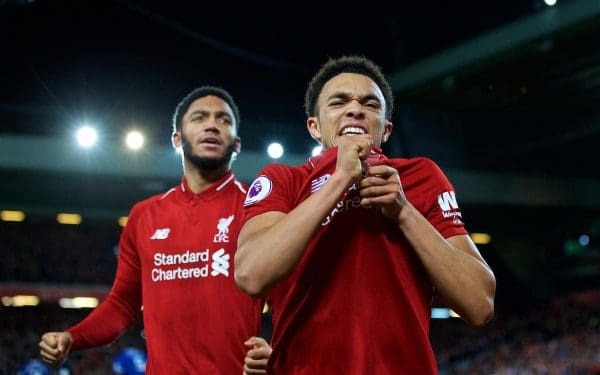 And once they’re back, in tandem with each other and continuing the partnerships they were building earlier in the season with others around them, there’s every reason to believe that the Reds will remain on course for success and silverware. And as the first half of this season showed, with a team built on much firmer foundations than has perhaps been the case in Anfield’s recent past.